This diversity is very present in the payrolls of the 30 Major League franchises that welcomed more than 500 Latin American players in the 2018 spring training. 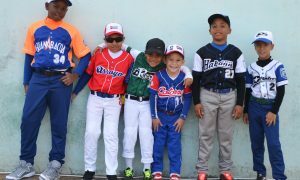 The performance of Latin American baseball players will once again be a determining factor in the aspirations of their teams to advance to the 2019 World Series. While this season will see quite a lot of Latino veteran players attempting to cement a legacy that would open the doors to the Hall of Fame in Cooperstown, a group of young talents will try to demonstrate that what they achieved in the last season was not by pure chance. 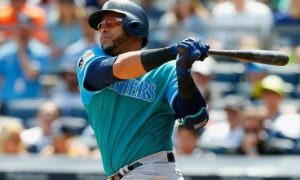 PanamericanWorld takes a look at the challenges faced by the 10 Latino players most likely to impact their franchises this year. Our selection includes four Dominicans, three Venezuelans, two Puerto Ricans and one Cuban. 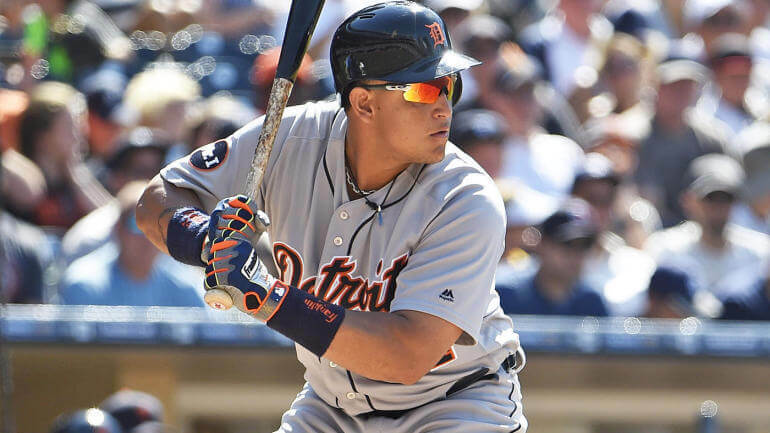 Venezuelan Miguel Cabrera was considered, for a long time and even against the criteria of some sabermetric experts, the most accomplished player in Major League Baseball. In his 16 years in the Major League, the “Tiger” has won everything: a World Series ring, two Most Valuable Player Awards and four batting titles. 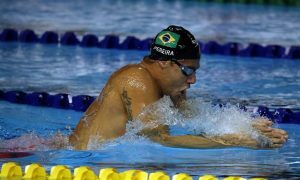 In 2018 he played in 38 games only because an injury forced him to go through the operating room. For the new season, the Detroit Tigers are confident that their fourth bat will be fully recovered and get closer to the numbers he achieved in 2015 and 2016, thanks to a $30 million incentive as part of his contract. Venezuelan Miguel Cabrera was considered for a long time the most accomplished player in Major League Baseball. Another Latino veteran, with 15 years of experience in the Major League and high hopes placed on him by his new team, is Nelson Cruz. 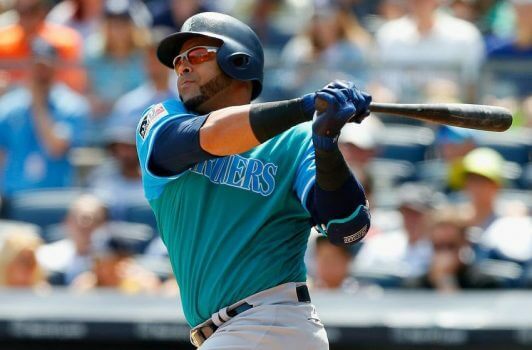 In 2018, with the Seattle Mariners, he hit 37 home runs and drove in 97 runs. These numbers impressed the management of the Minnesota Twins who offered him a 2-year contract for $26 million. A good season could make Cruz the new member of the 400 Home Run Club, with 360 already on record. Will the Dominican have a spot in Cooperstown to crown a career that includes two Silver Slugger Awards and six appearances in the All-Star Game, but also a suspension for the use of banned substances? 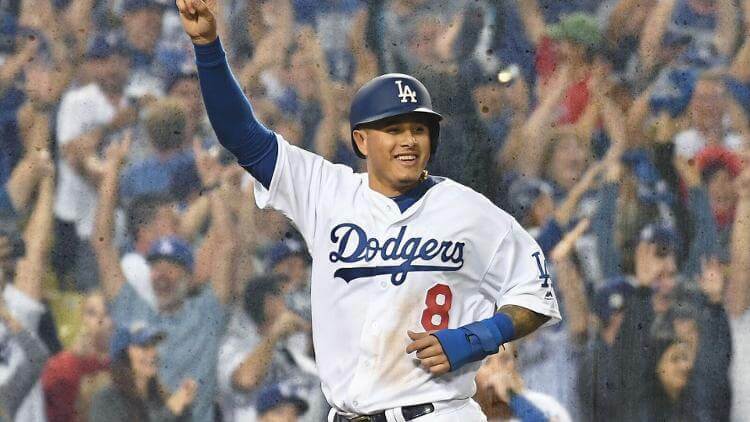 After losing the World Series to the Dodgers and becoming a free agent, Dominican Manny Machado was sought after by at least five franchises. Finally, the San Diego Padres won the bid and signed the player for a staggering $300 million. Machado will be, for the next decade, the leader of a team under reconstruction that aspires to be a contender in the mighty National League West Division. In his seven years in the majors, Manny has hit 175 home runs, with 513 RBIs, an offensive average of 282 and an OBP of 335. In addition, his defensive skills have allowed him to win the Gold Glove for third base twice. In his seven years in the Major League, Manny Machado has hit 175 home runs, with 513 RBIs, an offensive average of 282 and an OBP of 335. After poor results in two consecutive Fall Classics, the Dodgers chose to change several players. 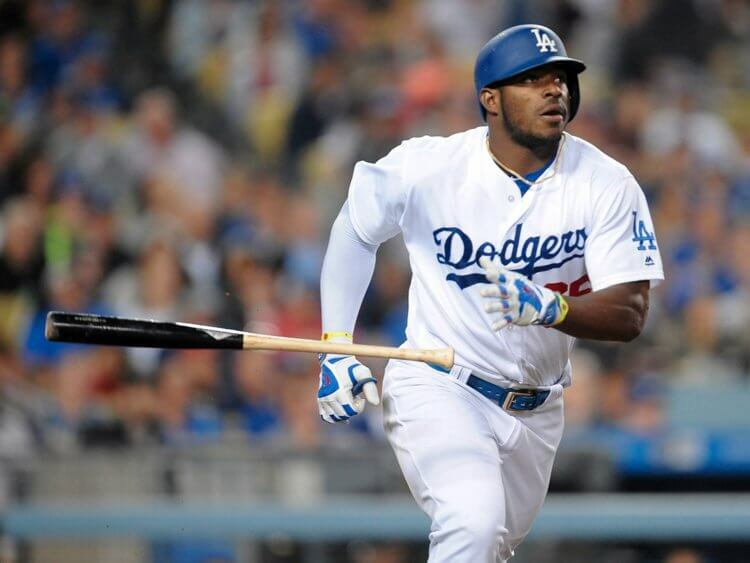 One of them was Cuban Yasiel “Wild Horse” Puig. The move was surprising since number 66 was the regular right fielder; but it seems that his attitude, both on and off the field, continued to annoy the management, so he was traded to the Cincinnati Reds. This talented player reaches the franchise with a lot less media coverage and pressure for a title, a combination that could help him improve his performance. In six years in Hollywood, the Cuban averaged 279, with an OBP of 353, 108 home runs and 331 hits. Director Dave Roberts may not know it yet, but in the not-too-distant future he will miss Puig. Yasiel Puig may be one of the key players in the Cincinnati Reds’ season. Dominican player Albert Pujols has built a spectacular career that will undoubtedly lead him to the Hall of Fame. His power hitter days with the San Luis Cardinals are definitely in the past and the special defensive tactics used on him by opposing teams, coupled with injuries, have caused a drop in his stats with the Los Angeles Angels uniform. Despite it all, Pujols is an icon who, at 39, still stirs fear in pitchers. Dominican player Albert Pujols has built a spectacular career that will undoubtedly lead him to the Hall of Fame. 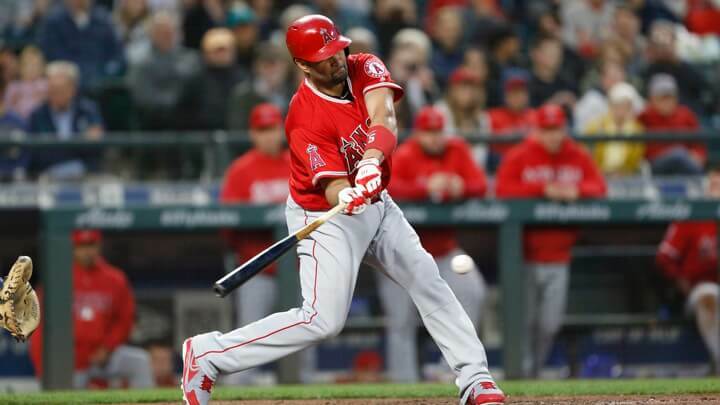 Can Pujols beat the 700 home run mark? In 18 years he has hit 633 home runs and has secured three more seasons with the Angels, for $87 million. If injuries let up a bit, Pujols will become the fourth player in the history of the Major League to bat more than 700 homers, only bested by Barry Bonds (762), Hank Aaron (755) and Babe Ruth (714). 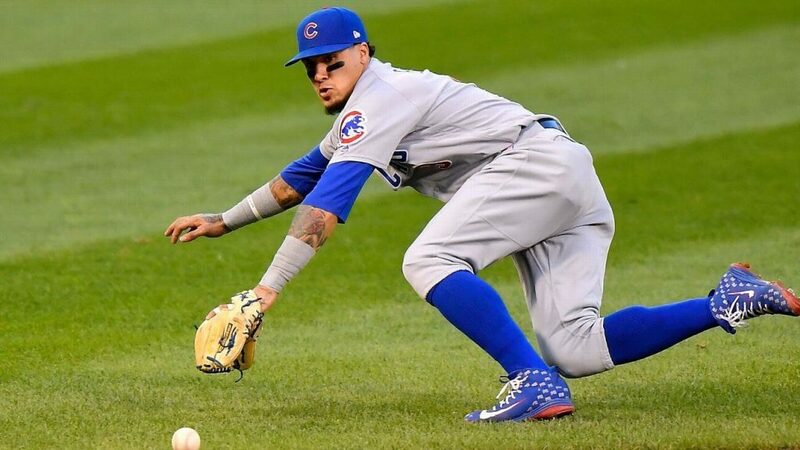 These four Latino players will play in the 2019 season for teams considered among the favorites to reach the World Series: Jose Altuve (Astros), Francisco Lindor (Indians), Luis Severino (Yankees) and Javier Báez (Cubs). Venezuelan Jose Altuve was inactive during much of last season due to injuries. 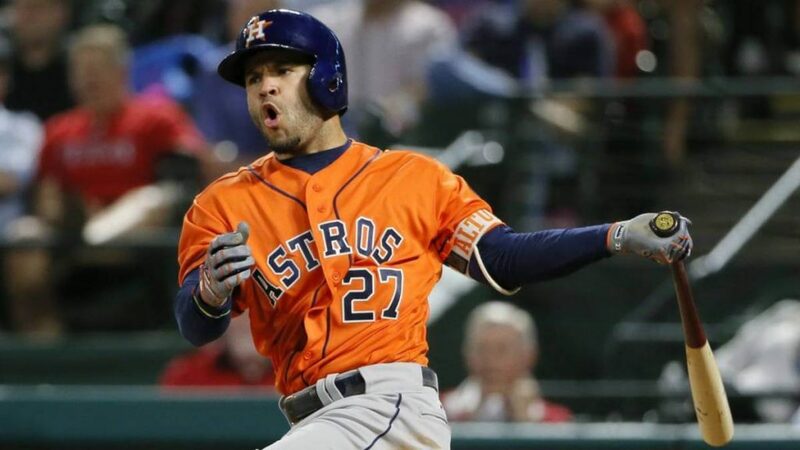 In 2018, Jose Altuve of Venezuela was so affected by injuries that he was only able to play in 137 of the 162 Astros games in Houston and broke his 4-year streak of at least 200 hits. This 5.5 “small giant” finished with the lowest numbers in the last five years (13 home runs, 61 RBIs, 386 OBP) and was not able to show his usual offensive skills during the playoffs either. For the upcoming season, manager A.J. Hinch is confident that Altuve will be recovered, as well as Puerto Rican Carlos Correa. The contribution of this duo will be fundamental in the aspirations of the Astros to return to the Fall Classic. The Cleveland Indians easily won their division in the past two seasons, but then lost in the playoff round. For 2019, manager Terry Francona wants things to be different, so he will demand more from his star players, especially from Puerto Rican Francisco Lindor, aged 24. 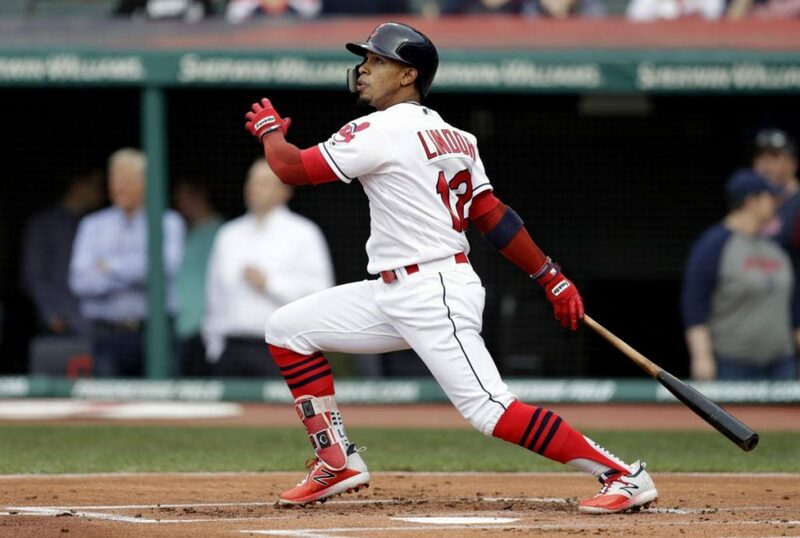 Francisco Lindor is among the three most accomplished sluggers in the Major League after only four seasons. This slugger is already among the three most accomplished ballplayers in the Major League after only four seasons. In 2018, Lindor had his best offensive year, firing 38 home runs and driving in 92 runs. He was also the player with the most runs scored (129) in the Major League. With these numbers he won his second consecutive Silver Bat. The Indians’ hopes of winning the World Series for the first time since 1948 depend on Lindor’s bat and glove. Another young Puerto Rican outfielder who has become one of the leaders in his team is Javier Báez. 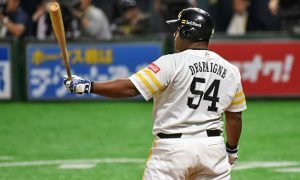 In the previous season he was the top scorer in the Major League, with 111, and his stats were excellent: 34 home runs, 40 doubles, a 290 average and a 326 OBP. The Chicago Cubs were a disappointment with their setback in the wild card game, but Joe Maddon hopes that in 2019, his team will not only win the Central Division, but also be able to return to the World Series. To achieve this, Baez’s batting will be key. Another young Puerto Rican player who has become a team leader is Javier Báez. 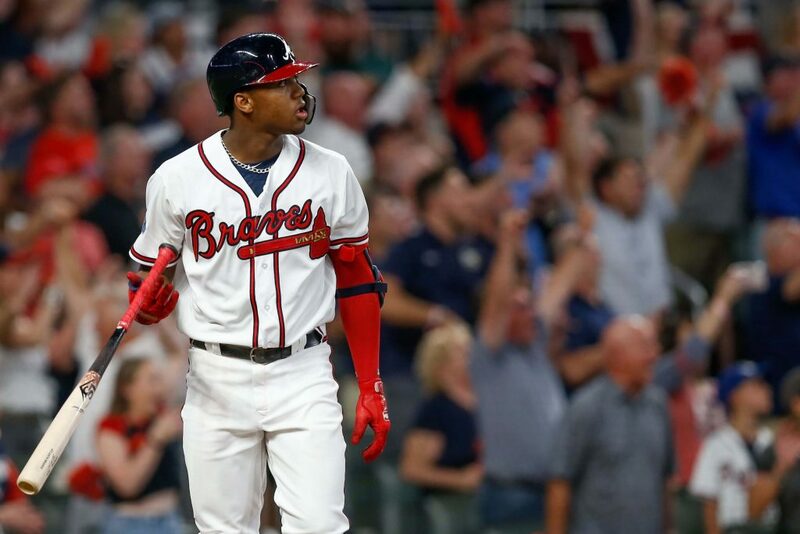 Latino talent is becoming increasingly visible in the Major League and a worthy example of this is Venezuelan Ronald Acuña. With only 20 years of age, the Atlanta Braves decided to upgrade him to the premier team and that decision probably saved the entire season for the team. Acuña’s impact was immediate and his numbers show his rapid adaptation to the highest levels of baseball: 26 home runs, 64 RBIs, a 293 average and a 366 OBP in only 111 games. There were no surprises when it became official that Acuña was the winner of the National League Rookie of the Year award. Will the Braves recover their winning aura from the Bobby Cox, Gregg Maddux, Tom Glavine and Chipper Jones era? One of the possible answers to that question will depend on Acuña’s bat performance. Venezuelan Ronald Acuña is one of the great assets ​​in world baseball. Latin power is more strongly felt from the batting position, although there are several pitchers who also fall into the star category (or are close to becoming so). 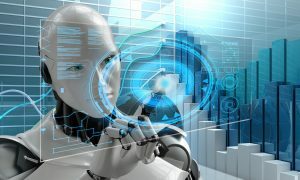 Aroldis Chapman and Edwin Diaz are two of the most effective closers of the League, while Jose Berrios is the most reliable pitcher of the Twins, Marco Gonzalez will be the first starter for the Seattle Mariners and veterans Johny Cueto and Félix Hernández hope to regain their old-time form. Of this group, Dominican Luis Severino, aged 24, stands out. Dominican Luis Severino faces great challenges this season. It is not easy being the leader of the starting rotation of the most popular and the most loved/hated team within the media and the Major League. The pressure of pitching at Yankee Stadium is huge; but everything seems to indicate that Severino is a good fit. In 2017, in his third season, he showed what he was all about, winning 14 games, with a 2.98 ERA. A year later his performance was even better: 19 wins, 10.3 strikeouts per game, a 3.39 average and a WHIP of 1,145. We all expected Severino to stand on the mound on the opening day of the 2019 season; however, a shoulder injury will keep him away from the field for at least a month. 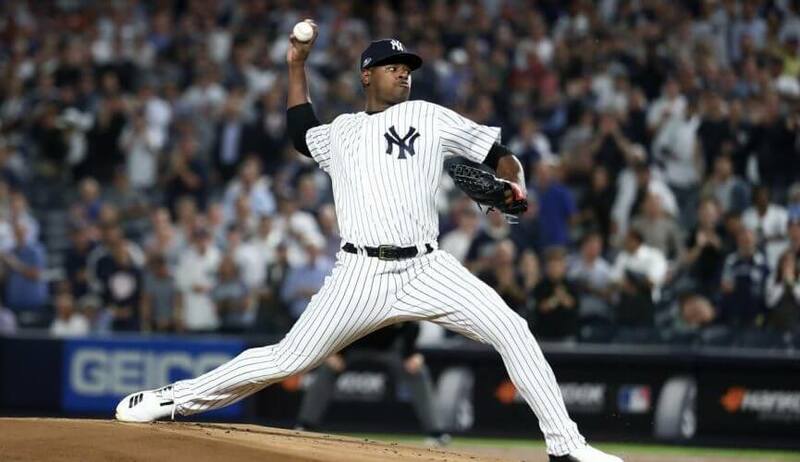 The Yankees will surely feel his absence, but will try not to rush his return, because in their quest to beat the super favorites Boston Red Sox, they will need Severino’s arm to throw straight balls at 100 miles per hour.